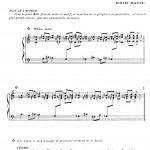 Score of Vexations (1893) by Erik Satie. 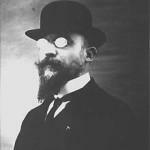 Image courtesy Archives de la Fondation Erik Satie, Paris. Portrait of Erik Satie by Man Ray, 1922. Image courtesy Man Ray Trust / Artist s Rights Society (ARS), NY / ADAGP, Paris. Erik Satie’s seminal piece Vexations (1893) consists of a simple theme for piano, which bears the inscription “to play the theme 840 times in succession.” The work’s premier in Manhattan in 1963 lasted over 17 hours and featured performers including John Cage, David Tudor, and Christian Wolff. For this rendition in Minneapolis, nine performers will successively stage Vexations (1893) at Northrop in one hour-long shifts throughout the whole night. Concurrently, simultaneous performances at independent art spaces in other cities will be broadcasted live through various sound portals installed in the space (NK Projekt Berlin feat. Reinhold Friedl, Manfred Werder & Jost Muxfeldt) next to sound works by international contemporary artists (Sophie Erlund, Charles Stankievech and others). Video works on monitors throughout the building by Rainer Ganahl and Emilio Fantin will explore movement and duration.